As a very controversial drama director in China, Lin Zhaohua is one of the most significant figures in Chinese drama history you can't ignore - whether you love him or not. Many people came to know Lin through Three Sisters Waiting for Godot, a modern drama that tried to integrate the two drama masterpieces brought to stage byBeijing People's Art Theater. However, Lin has produced many traditional Chinese dramas previously. But this work seemed to differ greatly from his established style. After watching the play, many audiences considered Lin as a strange old man, and agreed that he was avant-garde, an experimentalist, and a very different kind of director. Besides his efforts on modern dramas, Lin also reveals his talents in directingPeking Opera, vocal concerts, or even evening acrobatic shows. All of these performances are with one same character - good box office. 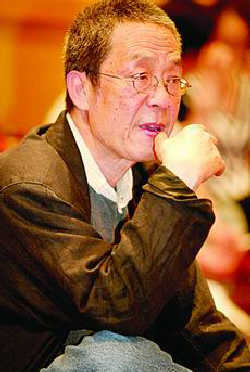 Beginning his career as an actor, Lin later began to direct dramas. This experience has given him a better and more thorough understanding of dramas. As the very first man to initiate the small-theater modern drama in China, Lin's style has been identified as avant-garde and experimental, but Lin does not agree with that. “The style-forming process is vivid, but once it is formed, it turns stiff. So I have no style,” said Lin. Born in Tianjin in 1936, Lin started his career in 1951, and was transferred to the Bayi Film Studio in 1956. 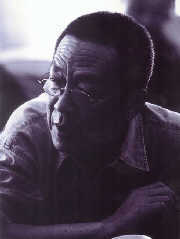 Lin was admitted to the Acting Department of the Central Academy of Drama in 1957, and was allocated work at the Beijing People's Art Theater as an actor in 1961. He became a director in 1978. He was the deputy dean of the Beijing People's Art Theater in 1984, and the director of the art committee of the Beijing People's Art Theater in 1993. Modern dramas: Weddings and Funerals, Nirvana of Gou'erye, Bird People, Ruan Lingyu, Antiques, Tea House, Frameless Wind and Moon, Beijingers, Hamlet, The Orphan of the Zhao Family, Faust, Chess People, Three Sisters Waiting for Godot, Richard III. Peking Opera : Turandot, The Humpbacked Prime Minister Liu. I have no style, no, not at all. Every drama has its own unique style. I think a director does not work for his or her own style, but for the drama itself. He or she will just represent what he or she has felt. I believe in and respect my own feelings, and at the same time, I hope I will have new experiences. That is my production logic. Any concepts, theories or formulas set for the modern dramas don't work on me when I am producing, I only believe in my own understanding and feeling, so my favorite things will inevitably appear here and there, now and then, and there is always an inner connection in the dramas. Why are labeled as avant-garde? I am not avant-garde. I have always abided by the law of the Golden Mean. Dramas are rich, and I want people to see more patterns. The avant-garde presents a new kind of drama, parting with the traditional ones. I haven't been in the status of breaking from traditional dramas from the very beginning. I don't have the courage or thought. Then why do so many people say that they don't understand your dramas? My dramas are neither profound nor difficult to understand. I simply find some thoughts about man in the play that stimulate me, and discover the theme about man when I read it again. I don't mean to pay a tribute to something; much of it is my personal feeling. The producing of Three Sisters Waiting for Godot, for instance, is because I found that there are numerous expectations and a lot of waiting during a lifetime. Love is always considered a forever subject, but I don't think so. It is not love but waiting, an immortal theme, waiting for chances for professional success, waiting for love and waiting for materials. For me, I am waiting for money to produce dramas. I respect my own feelings, and I will show them in the dramas, and that has nothing to do with any politics or 'isms.' The means I have so far applied in different dramas help me convey my feelings. So I believe the audience will understand. However, this is an age when the audience prefers TV plays and mini comic plays to dramas; we should not ask them to understand. Do you think market is important? The market is of course very important, but if you yield to it, dramas must perish. The real dramas or art are always in conflict with the market. But the market-oriented art forms are unnecessarily not worth watching. Some of my dramas gave in to the market. Nearly all I produced for theaters have made money. For instance, the Tea House and The Frameless Wind and Moon. But the dramas produced in my own studio have all lost money, without exception, because those that I have done for myself are a little bolder. Generally, people prefer conventional things that they have already become accustomed to. I like to represent masterpieces, for they are valuable legacies, and enable artists to fully develop. So I made Hamlet, Faust, Three Sisters Waiting for Godot and Richard III. I feel that my works are semi-finished products. I have just faithfully presented these masterpieces before my audience in the way the picture-books do. 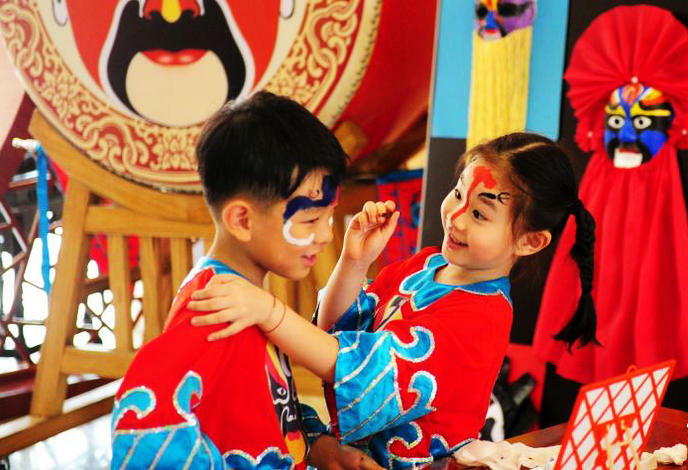 It makes people understand easily and it is beneficial to young drama fans.